Discussion in 'Headphones (full-size)' started by chinesekiwi, Jun 14, 2009. Which pads do you recommend and where do you get them? Also are they tough to change out? I had to warranty the headband on my DT880/250 and I think I remember it being a bit of a pain in the a$$. It was a long time ago though. The stock plush pads have become uncomfortable after an hour or so. It’s almost unbearable. I am currently using brainwavz XL hybrid pads. Super comfortable and raises the bass a little. Super easy to put on. I would suggest Brainwavz XL pads, but depending on what sound you want pick the right material. Of all the audio purchases you can make pads are without a doubt the best investment. 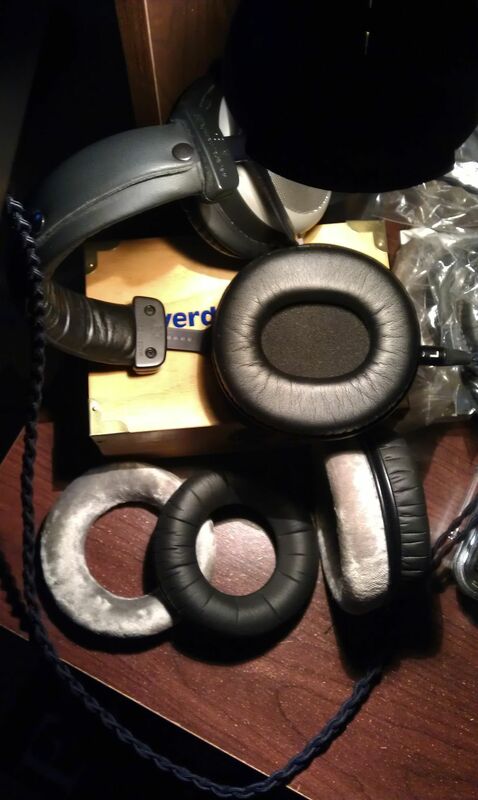 If you own a bunch of pads you can make a headphone sound completely different just by switching the pads. Which pads did you order ? You can also order them directly from Beyerdynamic at $34.00 U.S. a pair + s&h. There are, to my knowledge, no specific replacement ear pads for the DT880. In the description notes on the Beyer website it states that the EDT990 V will fit the DT770 - DT990 models. The pair I bought are the same as the ones sold on the Beyer website. Jesus those things look HUGE! I really like them though. It does look like the opening for your ear may be smaller than the stock pads, right? And those look like the stock pads there. Would prefer something different to to be honest. Jesus Christ trying to multiquote seems impossible on iPhone wtf. I was talking about these ones here that I want and the ones from the other post look like stock replacements. How do I get these ones pictured? 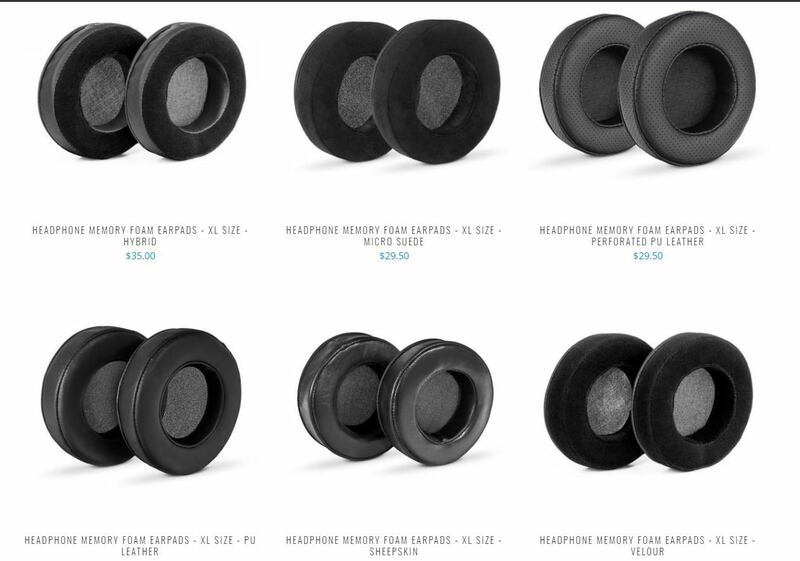 https://www.brainwavzaudio.com/collections/headphone-pads. At the bottom you'll see ones with the words XL on them. I bought mine from amazon, not sure if canada's amazon has them. They offer 6 variations. When you put the pads on your 880 you're going to think they don't fit and too loose. But surprisingly they stay on and feel really good. The micro suede and velour should keep closest to the 880's stock sound. The hybrid should give you slight bass boost while not heating up as much as full leather/pleather. The perforated ones are too hard to tell what they'd do to the sound. The leather and sheep skin should raise the bass up considerably but might warm up quicker. Someone mentioned the inner diameter. Awesome man thanks. I think I’d go for the sheepskins as more bass sounds good to me and getting hot hasn’t generally been a problem for me. Comfort is the most important thing though. These are softer and kore comfortable than the stock pads? Also I found the XL sheepskin pads in the link, just to clarify they are not specifically made for the DT880, right? This is a universal pad? And you said the fit seems a bit loose but it’s perfectly fine? Awesome man I may have to try these out. They are not designed for the 880. I can not stress enough when you first put them on you're gonna think "That was too easy there is no way they will stay on." They stay on perfectly fine and for me the comfort is 10 fold. It normally takes me 2-3 minutes to change traditional pads. The XL ones you could put on a pair in easily 10 seconds. How do you even take the old pads off? I tugged on them a bit (not really though I wasn't really trying to take them off) and that didn't seem to be the way they come off. Does it require taking off the phillips head screws on each side of each driver? Basically the screws that connect the headband to the drivers. trellus and CoryGillmore like this. Oh damn I was right by just tugging on them I guess haha. Thanks man you da MVP. so just curious how many other headphones have you tried outside of the 880s ? The German Maestro GMP 8.300D pleather pads on the 880's made the bass way too boomy for my liking. I didn't try the original HM5 pads as they would not fit without ripping and Brainwavz didn't have the XL size available at the time. German Maestro velours do work in a pinch and they make a vented velour version that is similar to the stock beyer pads. Since the GMP's pads are about the same price as the beyers, it's probably better to just get replacement beyers. 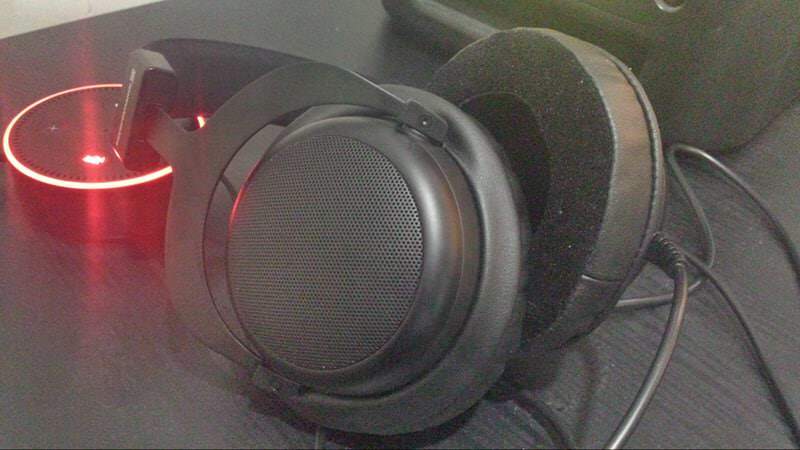 I had an HD650 for a while at the same time of my DT880, ended up selling the HD650. My favorite headphone at the moment that I’ve had for quite a while is the Miles Davis Trumpet, which started out as a Miles Davis Tribute that was warrantied and replaced with the Trumpet. Before that I had Monster Turbine Golds, which were a treat for the money. My main source is a Creative ZxR inside my PC playing Tidal HiFi and a collection of 16/44 FLAC and a pretty good collection of hi-res FLAC flies from HDTracks. It’s a very warm and dark source which I think pairs perfectly well with the bright DT880. That's funny. For the longest time I loved 650s. I pair it with centrance m8 and it was a perfect pairing. The downfall was the m8 is a piece of trash for $800. After 3 hours, even when plugged in it will die and you have no audio for 4-8 hours. So i sold both. I used to love the 770 but it always had this abrasive sound. Where I stand now is perfect. 880's with hybrid xl pads. Unlike speaker, where the most sound shaping part is the driver, when you go to headphones, the whole driver environment is very importing. Talking about the housing, filter inside and ofc the pads. I bought used dt880 in bad condition sounding terrible, but I figured out, that there where 770s pasd on it. Ofc you can try around with pads, but pads are Extremely sound shaping, taking about several db's of elevation or reduction. Yes, you can find nice pads, but the balance between good bass response and nice resolution in mids and highs is not easy. When I tried different pads, I was like "wow" at the beginning, but when going back, I knew this was the tight pad.